A 22.5cms. 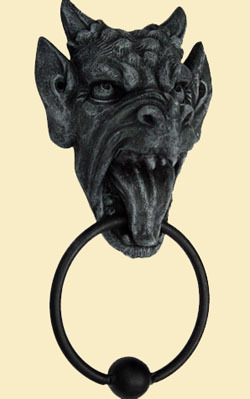 cold cast door knocker with sturdy metal strike-point in the hoop which is firmly attached through the mouth of this fearsome gargoyle. The piece comes with fixings of screws and rawl plugs ready to hang.